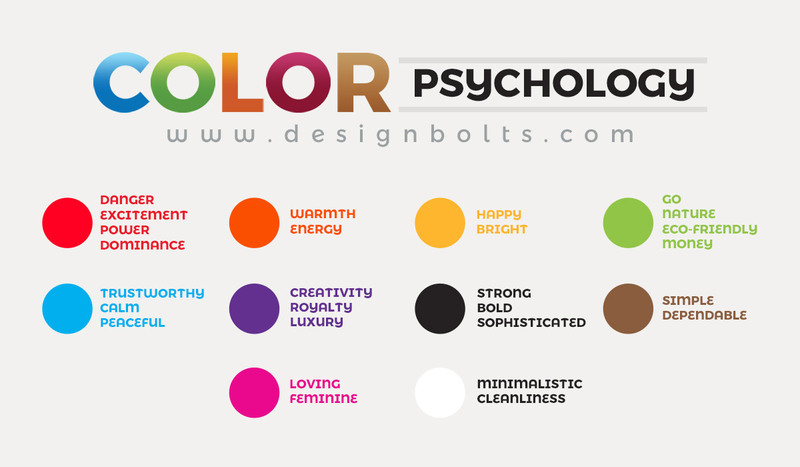 Do Certain Colors Increase Online Conversions? Ecommerce business owners are always testing elements of their websites to increase conversions. One of the most interesting and highly debated contributors to the conversion rate is the use of color. 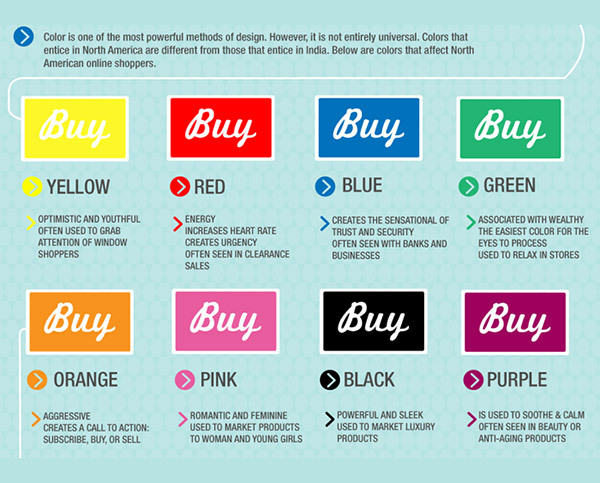 In the simplest terms, eCommerce entrepreneurs and online marketers want to figure out what color to make various buttons and other elements on their websites to produce the best results. 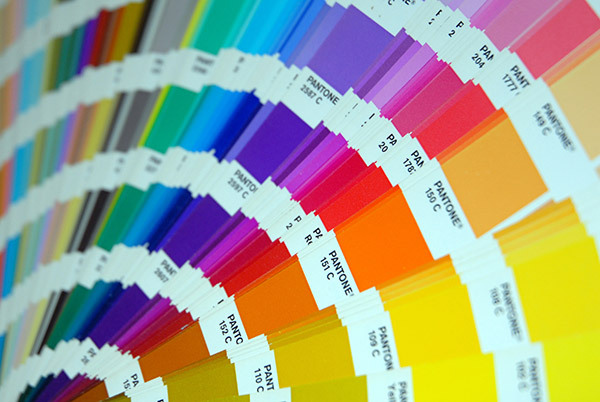 When building an commerce website, many business owners get too caught up in perfecting little details like color selection. While it’s important to understand basic color theory and practice A/B testing, remember color is just one small contributing factor to your conversion rate. Colors play a very influential role in the way we perceive the world. 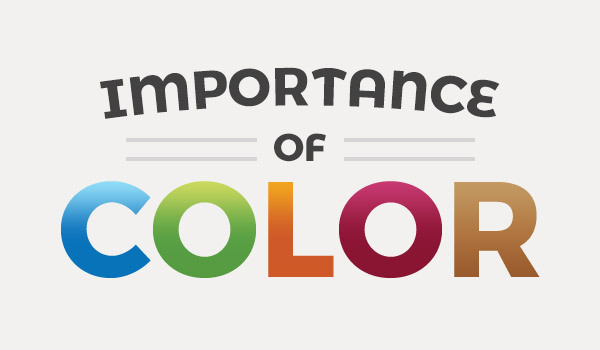 Studies have shown that people make a judgement about a product within 90 seconds of viewing it, and up to 90 percent of that quick assessment is based solely on color. In fact, color is so important that two-thirds of consumers say they won’t buy an appliance unless it’s available in their color of choice. Generally speaking, there are a few colors that have been shown not to be very effective in increasing conversions. Grey is too neutral and bland; it’s also associated with sadness and loneliness. Brown, when used alone, can signify boredom. 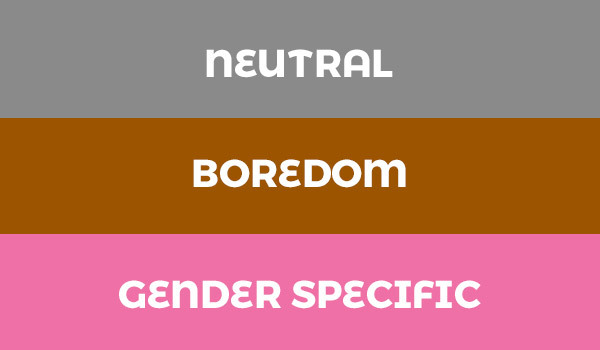 Light pink is very gender specific, so it can work for some products and circumstances, however it is also often associated weakness. Many studies have compared the conversion rates between using red and green ‘buy’ buttons. In case studies by Dmix, Hubspot, and Visual Website Optimizer, the red button was found to have a better conversion rate than any other color. In fact, conversions in these studies increased by as much as 34 percent. As you can see, there is no real consensus on the best color for conversions. In fact, many argue there is no best color for conversions at all. It’s important not to get too caught up in the minutia of testing colors for conversions. It’s actually become a bit of a cliché in the marketing world because it’s been discussed and debated ad nauseam. The best thing you can do is take color theory with a grain of salt, play with it if you’d like, but apply your efforts and A/B testing to more substantial factors in your conversion rate. Instead of nit-picking about color, concentrate on experimenting with other factors such as copy, button size and design, images, and more. You can even widen your scope to include big-picture considerations, like the quality of your product or your product-market fit. There’s no doubt that colors have an interesting effect on our brains and a measurable effect on consumer actions and purchases. Have fun testing colors on your ecommerce website, but remember it’s just one very small factor in your overall business success.